U.S. Cellular sent us a press release that this precious stone of a phone, the Samsung Gem, will be available for purchase in the carrier's stores and online today. The handset features a 3.2" capacitive touchscreen with 240x400 pixels of resolution, 3MP camera, and a 1500mAh battery that ensures 5 hours of talk time. 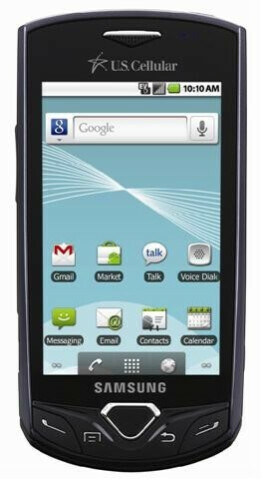 Samsung Gem for U.S. Cellular will ship with Android 2.2 Froyo, and is powered by an 800MHz chipset. The dimensions are 4.48” x 2.18” x 0.48” with 3.85 ounces of weight. 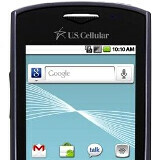 The handset will set you back $29.99 after an $80 mail-in rebate. There you have it. OK, I'm not a super-tech person, but THIS has Froyo and my Galaxy S still doesn't? C'mon...seriously? Really? Shweet!!!!! That's great! Not my model.